The twisted and braided pattern that we know as wicker originated from the Scandinavian word that means “to bend.” It is popular as outdoor furniture along with patio furniture. Many people think that wicker is a material, when in fact, it is the style of the weave. 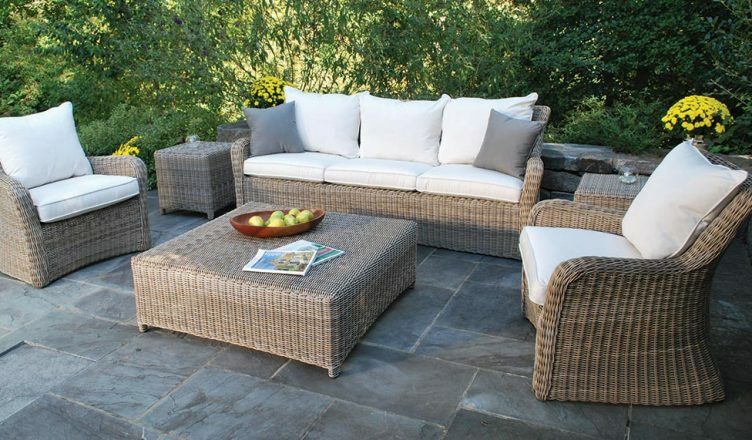 Wicker furniture comes in a variety of materials, everything from Bamboo, Rattan to Vinyl. Wicker furniture, like those by Lane Venture, are popular because of the signature look and feel from the weave. Synthetic wicker looks more woven than others. Older wicker furniture, like antiques, look as good but are paper based, so tend to be a little more brittle. Regarding colors, the natural fiber look of unpainted wicker tends to be the most popular. Other popular colors include white, black and other darker colors. The most timeless color that works in homes is white. While modern décor tends to favor colors like dark blue. Lounge chairs tend to look better in chocolate brown. Wicker furniture is resilient but requires regular maintenance. Over the short term, a light dusting will suffice. Every few months, a vacuum along with a deep clean will ensure no lasting damage. For much older wicker, a paint job and protective top coat will make it look as good as new. With the right maintenance, wicker furniture will last years. Complement your outdoor furniture with Treasure Garden Umbrellas from Wicker Paradise.